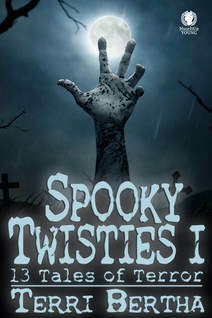 Spooky Twisties I offers 13 twisted stories with creepy characters throughout. These are the adventures and antics of a group of tweens who experience a variety of supernatural and funny happenings in their normal day. 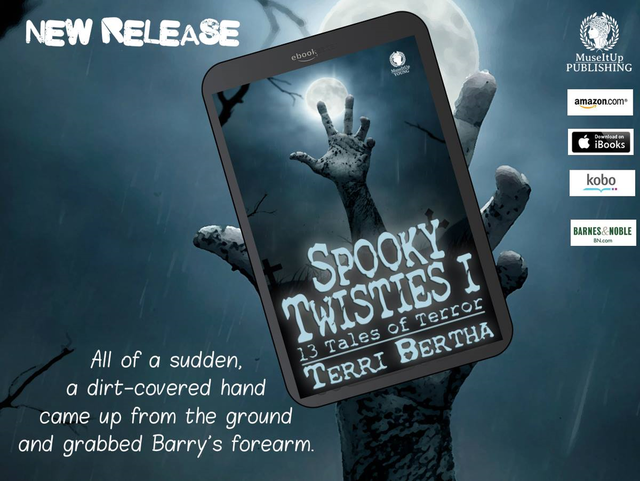 Each episode has an eerie ending leaving the reader saying, "I didn't see that happening!" Middle Grade, YA and Bigger Kids too can experience a frightened chuckle before bedtime or anytime during the day. 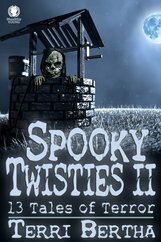 Horror mixed with humor doesn't lead to any 'happily ever after' endings here. Hope you enjoy reading them as much as I did writing them. Be ready to be Terri-fied! Catch up with Chris, Nick, Amy, Lindsay and their friends as they continue to encounter the strange and supernatural. Remember; Spooky things don't just happen in the dark!